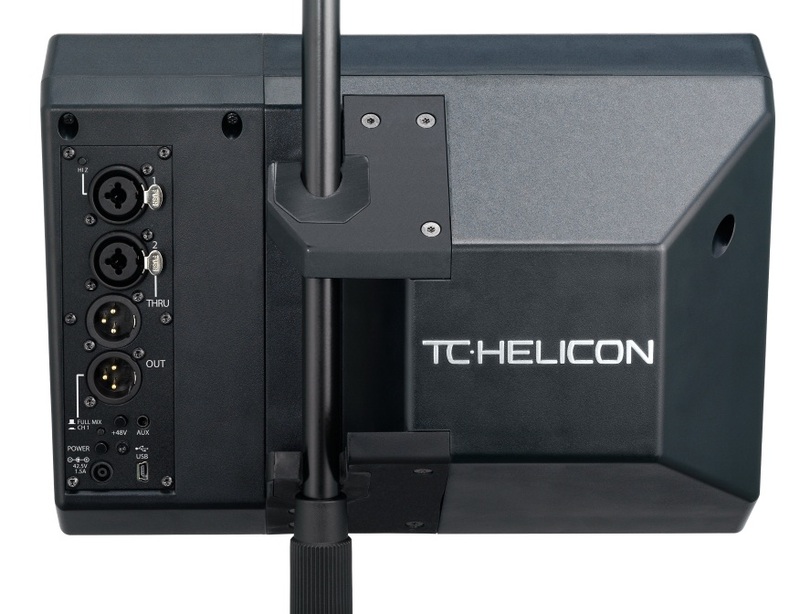 VoiceSolo FX150, PA Floor/Stage Monitor from TC-Helicon. TC Helicon introduces at NAMM 2014 the new VoiceSolo FX150 two way active full-featured floor monitor. The VoiceSolo FX150 is a two-way 6.5” coaxial loudspeaker which speaker has been specially designed by Tannoy, and includes a 150W amplifier. 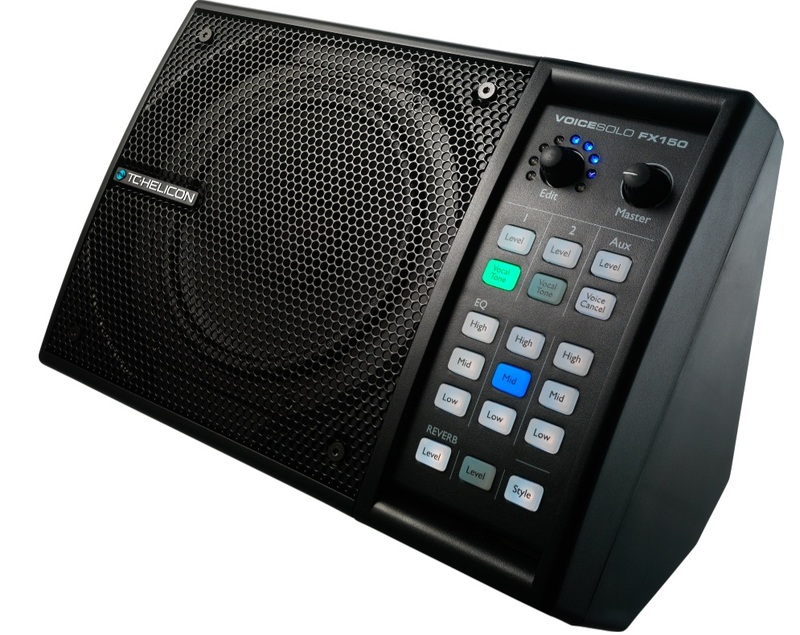 A built-in 3-channel mixer offers 48V phantom power for condenser microphones, and a proprietary Vocal Tone DSP technology on each mic input that handles compression, EQ, de-essing and gate on vocals. 9 effects from the VoiceLive 3 are also included (doubler, harmony, echo, HardTune, Flanger, Choir as well as 9 reverb types…). 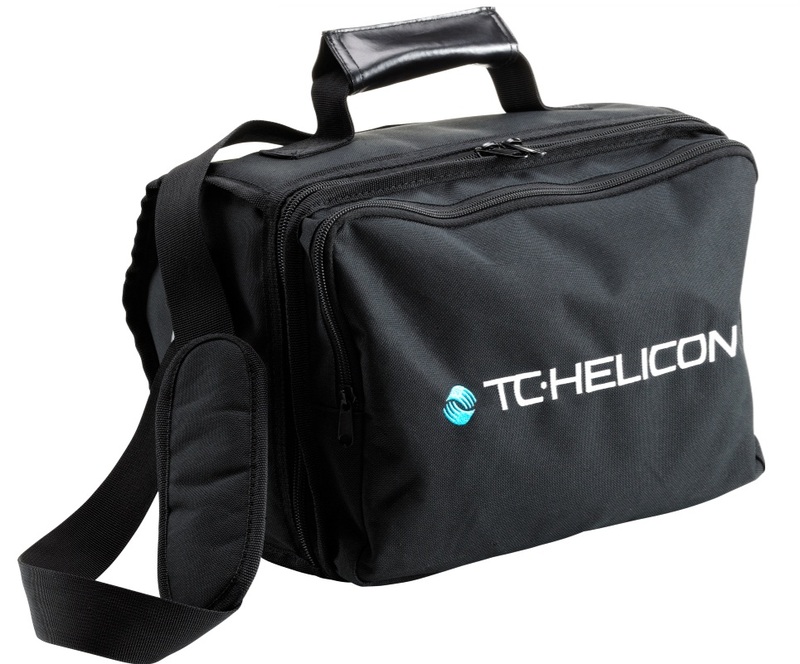 Note that the reverb can be remotely enabled if you use a TC Helicon MP75 or a Sennheiser e835 fx microphone. 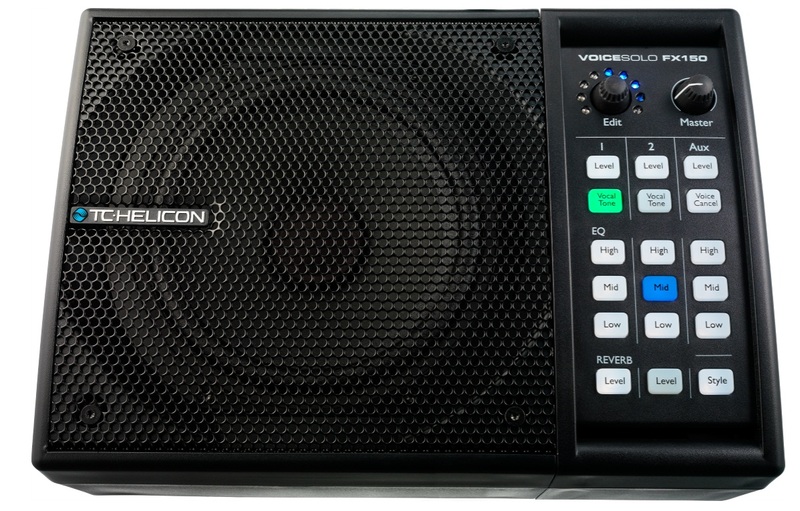 For guitar players, the VoiceSolo FX150 provides a Full Range Flat Response system that, according to TC Helicon, allows for full spectrum reproduction, including in the low-end, something that is often missing is small PA systems. 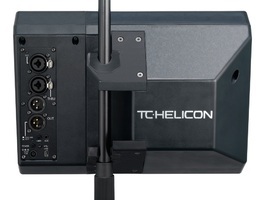 The connection panel includes XLR/1/4” combos, with a Hi-Z switch on channel 1 and you can choose to output only the channel 1 (normally dedicated to the vocals) or the full mix. 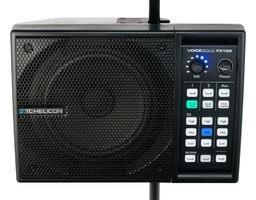 A second instrument input can receive a reverb and a 1/8” aux input includes a Voice Cancel feature. 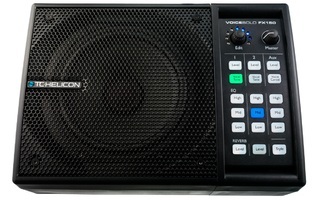 Last, the VoiceSolo FX150 offers a unique EDIT command with which you will quickly adjust levels and settings. 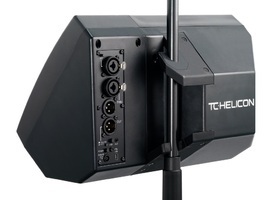 Le VoiceSolo FX150 can be installed as a floor monitor or mounted on a microphone stand thanks to the Friction Grip system so you can use it as a small PA.
EU pricing is 249€ and an optional fitted cover is available for 49€. Visit www.tc-helicon.com for further details. 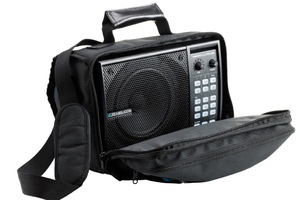 Rebel, FiveO’s new portable loudspeaker Street musicians can now discover Rebel, a new 2 way powered portable loudspeaker manufactured by FiveO by Montarbo.